Free Tool To Start Your Brand Strategy Today. Branding isn’t just for big corporates. In my previous blog article, How can branding help your small business stand out, I discussed the benefits of adopting a strategic approach to branding for small businesses. The lack of funds, time and human resources is a pain for small business owners. This is the exact reason why small businesses will need to invest in developing a well-thought out plan to target their marketing efforts on where they’re needed the most. With branding, small businesses can communicate why they’re worth their customers’ time and hard-earned cash. The brand can be thought of as the ‘interface’ between the company and its stakeholders. It communicates the positioning strategy and shapes perceptions. The brand promise frames how the brand is positioned and differentiated, in other words, it communicates the benefits offered and why it is different. is relevant to customers – its relevance should be expressed by encapsulating the benefit/s sought by customers (e.g. emotional, functional or self- expressive benefits). From experience, we know that many small businesses start and grow organically. Most of our clients accumulated extensive knowledge and experience over the years through serving their target audience. As a result, they already have answers to what makes them unique and what benefits their target audience seek. What they don’t have is a strategic plan with actionable objectives within the limits of their resources to create and build a brand that helps them communicate the right message to the right people. Recently, we received feedback from one of our clients about the benefits she received from a brand roadmapping session we conducted with her and her team. By allowing a day out just to focus on her business and brand, she was able to see the big picture. Like other small business owners we’ve met, she has a vision that needs to be aligned with the resources of the company. She needed structure and guidance in turning her vision into a strategic roadmap. The roadmap we devised after our session proposed a brand building strategy that could be actionable within the limited time period and funds the business has. The result for the client was a clear plan of action that will help her achieve her business objectives. Whether you can DIY your brand’s identity depends on your creative and technical skills – and your time. We’ve met technology geeks who designed their own logo and website that looked great. We have also met business owners who were desperate to get their brand disasters fixed after a ‘cheap job’. Branding consultants need your input to create and build your brand. You should be prepared to answer questions, a lot of questions, when you meet with a reputable consultant. We use many tools with our clients in our brand roadmapping sessions. One of these we created is a simplified version of the Roadmapping worksheet we use to analyse a businesses’ Company, their Customer and their Competitors. You can have a go at clarifying your brand promise and message – just click the button below and get started! 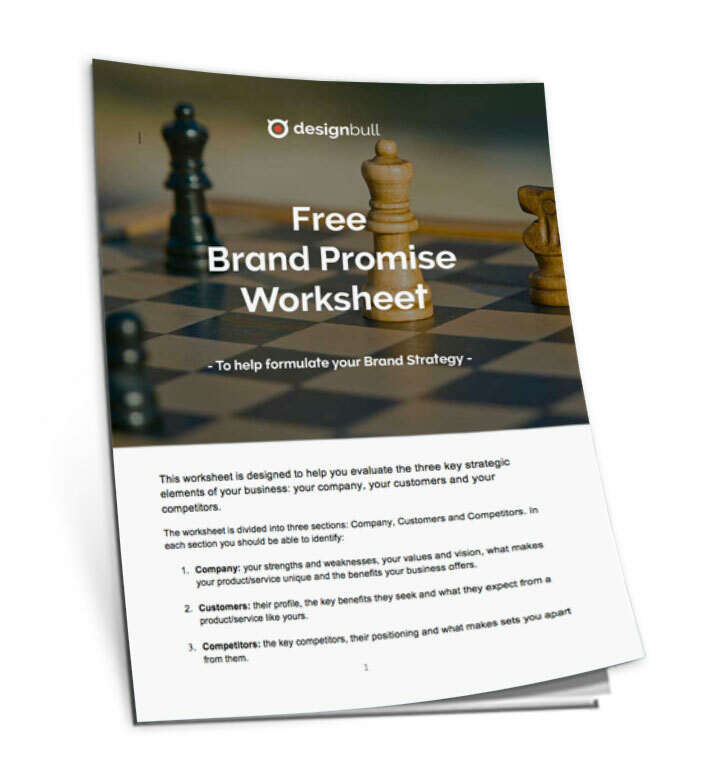 FREE Brand Promise Worksheet Download: click below to access your Worksheet we created for this post! Why is it different from competitors? What benefits does your target audience seek? What should your brand promise say to your target audience? The insights you gather from filling out this worksheet can help formulate your brand promise and make you unique, guiding you in your communications with your target audience. And if you need help to create your brand strategy and positioning, let us know: email [email protected] or schedule a free 30min consult. This entry was posted in Branding and tagged brand strategy, Roadmapping, small business branding. Make a Start on Your Brand Strategy Today! Sign up below and get our Brand Promise worksheet! 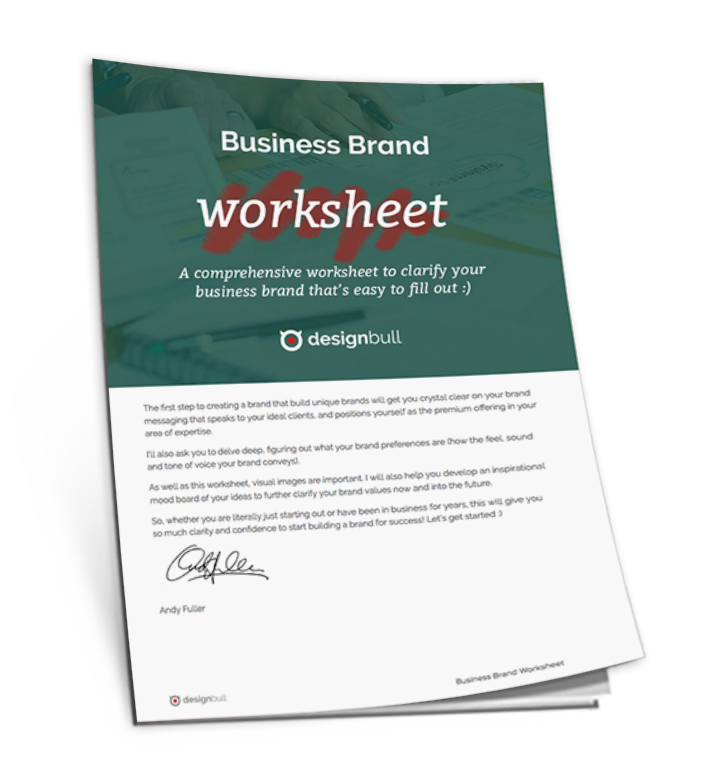 Get this FREE step by step brand worksheet to help you clarify and plan your business brand that’s easy to fill out!